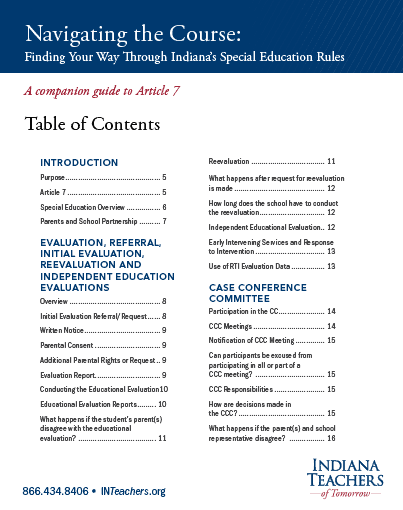 Use this page as your personal guide to understanding Indiana’s rules for Special Education. 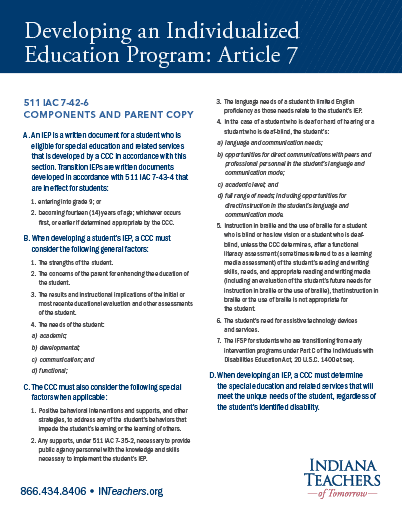 We offer state testing resources, information to assist you in understanding the requirements outlined in Article 7, and third-party links to effective study guides. 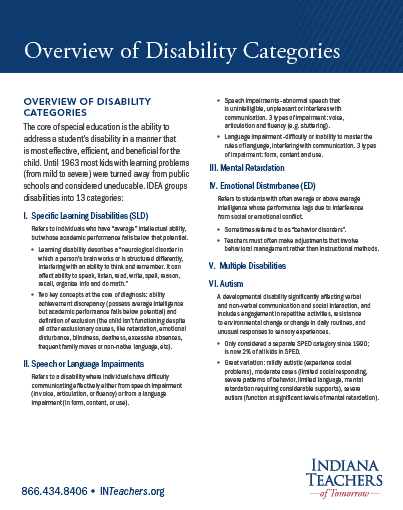 Please feel free to share any additional resources that you have found so we may add them to this page! 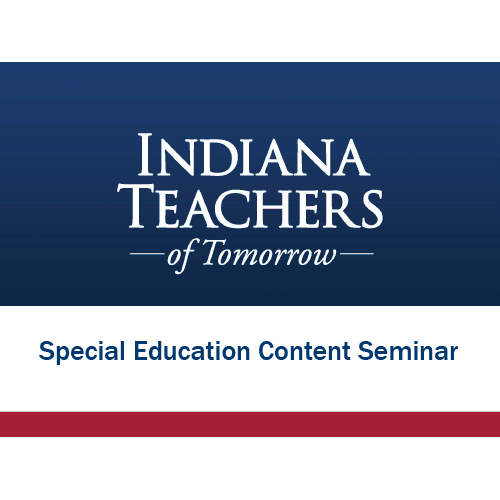 The Indiana Department of Education’s Indiana CORE Assessments for Educator Licensure website provides free access to in-depth information about the test design with assessment blueprints and multiple resources for each exam. 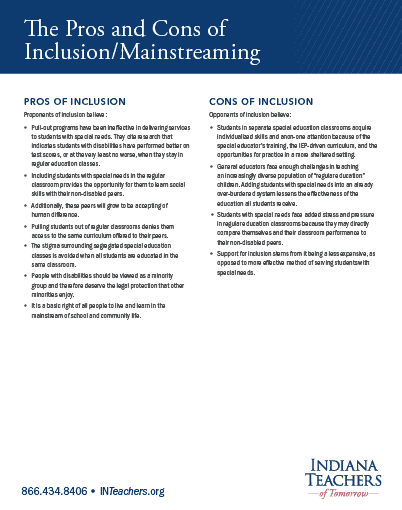 Each page also includes access to interactive practice tests for a fee of $29.95. 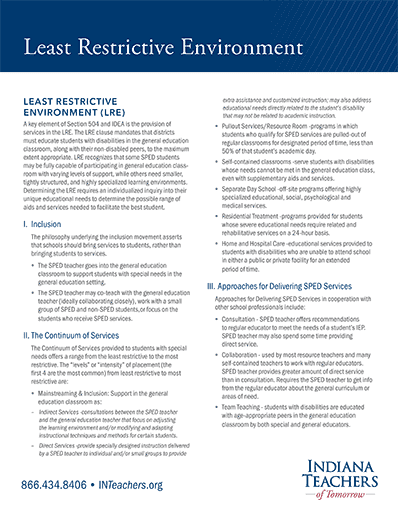 We’ve compiled a list of the most popular recommended study guides from third party vendors below.